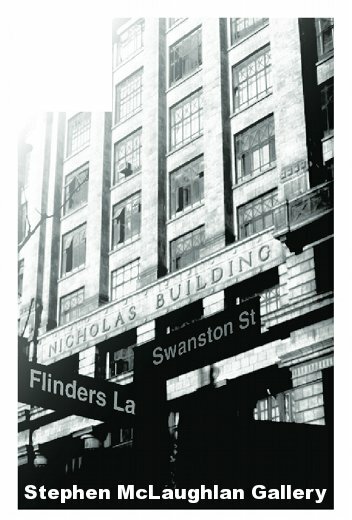 Located eight floors above Flinders Lane, on the Swanston Street corner, the Stephen McLaughlan Gallery was established in 1994 and is a proud occupant of Melbourne’s iconic Nicholas Building. Regular exhibitions in our Main Display Area and in the South Gallery (Objects Space) showcase a committed group of contemporary artists in a welcoming and airy environment. Photographic archives provide an accessible overview of the depth and breadth of our endeavours, with both established artists and those at journey’s beginning sharing their visions across a variety of media.